Aphids from spruce at the Homer Bench, 12.June.2015. Photo courtesy of Karin Sonnen (USDA NRCS, Homer). 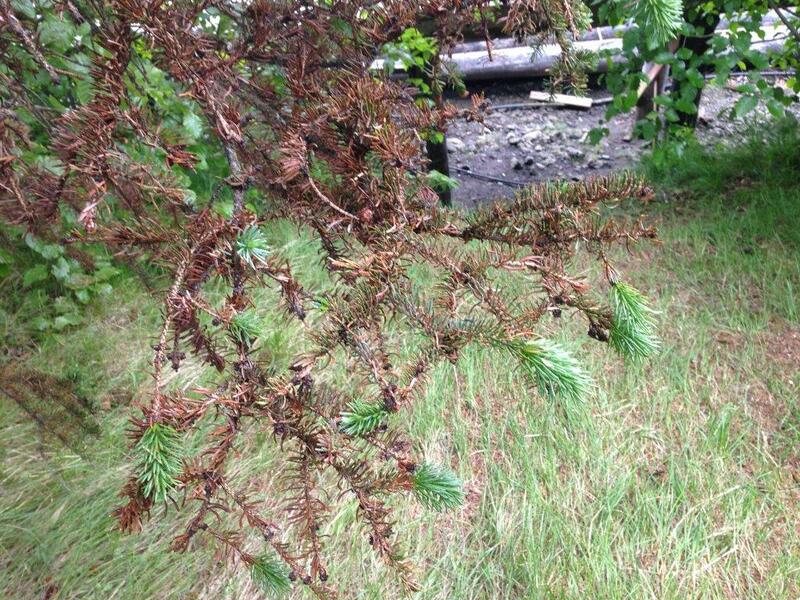 Mitch Michaud (USDA NRCS, Kenai), phoned me regarding substantial defoliation of spruce at Halibut Cove and the Homer bench. At Halibut Cove, spruces had been dropping many needles. 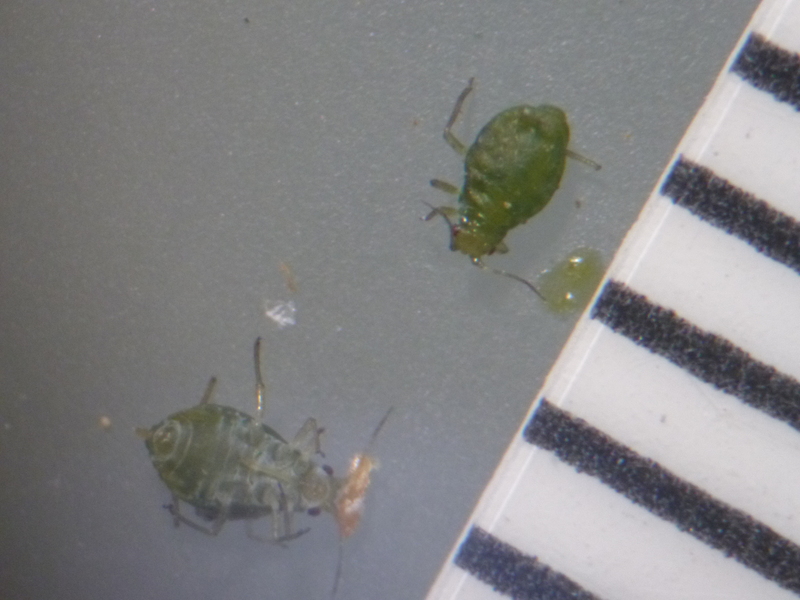 Aphids were the culprit, but the identity of the aphids has not yet been established. 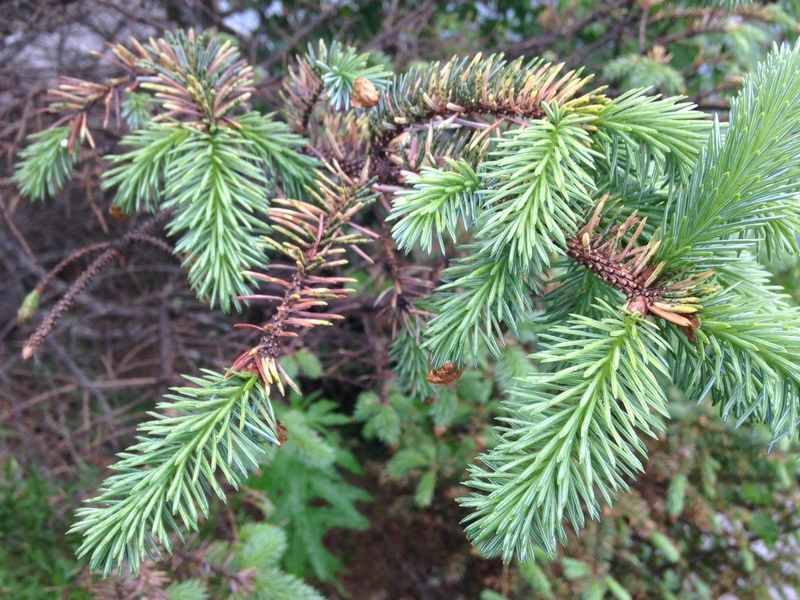 Browning spruce needles due to aphid infestation, 9.June.2015. 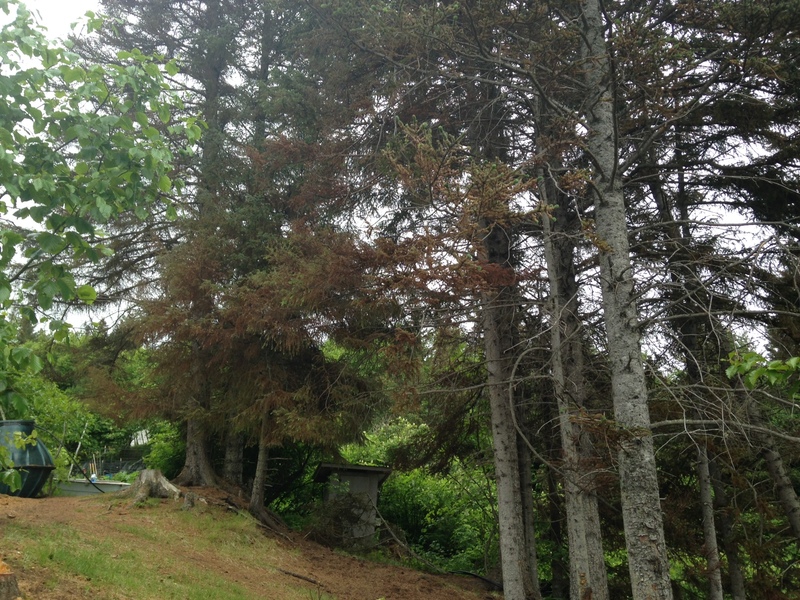 Spruce trees damaged by aphids, 9.June.2015.